Thought experiment for fun: Destructive orbital delivery! So here is another thought experiment for fun: Say you have to deliver something in the most awesome manner - straight from orbit! And say because your delivery people are kerbals, they didn't attach any kind of retro thruster or parachutes or such on the package, therefore the thing will freefall down all the way to Earth. So, if you are dropping such a package from the ISS, what kind of shielding would you need to keep the package intact, what would it look like, and what kind of damage would it do to its destination? For this scenario, imagine the package is a 30cm wide cake weigh about 1.5kg. Cake does not need to retain full shape on arrival, just need to look something resembling a cake more than a mush of sweet mess. You are allowed to use whatever technology needed to achieve this purpose of keeping the cake intact(maybe even hard sci-fi), but not using anything active to slow the speed of the package before impact, including parachute/thruster, etc. In other words, aero/lithobraking only! Sounds like a lot of space bubble wrappers! Idea came from another talk with my friend, where he jokingly demanded me for a birthday cake. So I joked about delivering it from orbit. Now I am interested how that could possibly happen. The reason for the "lithobraking only" clause, is because I also want to deliver as much damage as possible from the act of sending the cake over. And the reason for "keeping the cake intact" clause, is because I imagine it would be hilarious when the survivors open the capsule crashing through the sky just to see a cake inside saying "happy birthday". Have fun with your imagination, and happy holidays everyone! Put little wings on it and mount skis under it, then land it on a ski slope or something. put four of them around it so that it lands like a maple seed. ... that's how I get all my parcels delivered anyhow, just setup a delivery service in orbit. Then with "Amazon 6 Minute Delivery Plus" service, you get your parcel almost before you click to buy! Hmm, yeah, that sounds like a good idea. Does deliberately spinning the package with those wings helps slowing it down? Like does the downward force is diverted to spinning motion? Does it matter much? Yeah, that is what I imagine what it might possibly look like before this thought experiment. 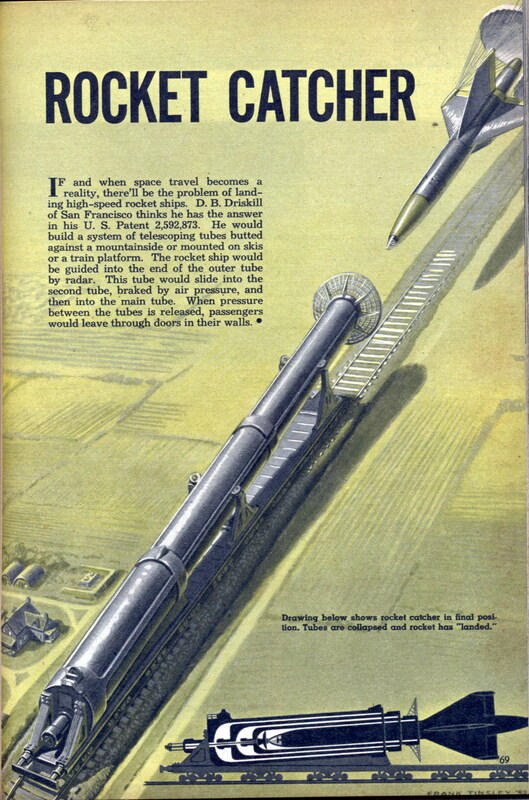 A really, really long telescopic rod made of tungsen that collapse to itself on impact, and at each collapsing end there would be explosive to counteract the force of impact. Probably would never work, but I like to imagine it. Although I do forgot to mention the "cake must survive" clause is a joke. As I said, it would be hilarious in the aftermath, but doesn't seem that much possible when you are dropping a cake from space and expect it to resemble a cake on arrival. It is just there for extra challenge and fun. Anyway, from the current ideas, maybe we could have something that almost work? A telescopic, dart like package made from tungsen with fins to spin it while it is falling down and drill it into the ground on impact? Didn't NASA do that exact thing with one of the failed rovers? For 'maple seed' rotation, there have been several experiments on that for reentry capsules. I came up with another idea: Find a chimney just a little bit wider than the capsule - the higher, the better. Seal the bottom end of it and fill it to the brim with the softest material you can find. The idea is to steer the capsule in through the hole at the top of the chimney, and let the high pressure air (due to the air not being able to escape through the narrow gap) and the SoftStuffÃ¢â€žÂ¢ slow it down. Put it in the Space Shuttle. Job done. The shuttle used drag chutes also - they're pretty much a universal feature of previous gliding entry vehicles. Touchdown occurred without their use however. Have a cake only a few millimeters thick. Detach everything else from cake a few seconds before impact. Drag will slow down cake, while the other stuff will destroy the target. Combine this idea with the autorotation idea before, maybe we can have a capsule with the cake inside with those wings, and launch it self out of the tungsten rod shield using explosive on impact and let the capsule rotate down slowly. A pillow. Biggest, softest, meanest father-of-all-pillows. Or, more seriously - a very durable, needle shaped container with positive buoyancy. Let it fall into any suitably deep body of water, let the laws of physics do their job and fish it out with recovery vessel. And enjoy your stirred and very shaken cake. Small objects with high surface/weight ratio aren't subject to very high temperatures. So, as a special challenge, one can make the cake exactly thin enough to get baked during reentry but not burned. XKCD did wrote an article about dropping foodstuffs from the space. Apparently, depending of the height it is dropped from, outcome is either "frozen solid" or "charred". If you use a flat enough reentry angle, and have enough drag, the impact velocity will be the same you would get from dropping it by plane. For a skydiver, terminal velocity is about 200km/h, a cake delivery package could easily be around 100km/h or less. If we assume the max deceleration a cake can survive is about 10g (imagine putting 15kg on top of it), and terminal velocity is 30m/s, it would take about 5m to brake. That's far too much to use bubble wrap or equivalent, but some kind of long air piston could probably do it.